We know you. You're kinda different than everybody else. You get a secret thrill from stealing your neighbor's newspaper in the morning, and take pleasure in spreading false rumors about your coworkers. 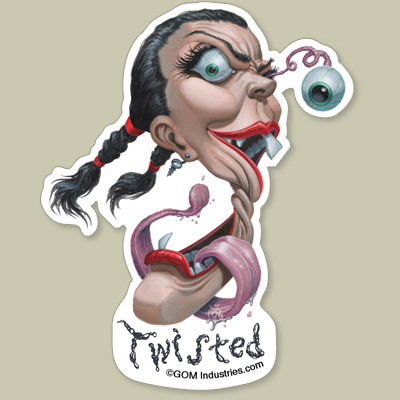 Someone as prone to deviant behavior as you needs a Twisted sticker. Wherever you stick it, people will know what to expect from you.